The auto industry is now making great technological advances in terms of driver and passenger safety to reduce the amount of injuries, such as whiplash that occur in accidents and collisions with other cars. Alongside the improvements made in the safety of passengers with improved collision safety car manufacturers are improving seat belt technology to keep passengers safe in the rear and front seats. Technological advances have seen improvements to car design designed to reduce the risks to pedestrians, cyclists and car passengers through the use of GPS and ultrasonic sensors that detect accident risks that can automatically slow a vehicle to reduce accident possibilities. Car, coach and cycling accidents are a major soource of injuries and deaths on the roads of countries around the world; as the focus of car manufacturers shifts from power and speed to increased levels of safety major motoring brands are using technology to keep drivers and passengers safe. Many of the advances made in car safety are designed to reduce the effects of collions causing physical injuries including broken bones and whiplash. Whiplash claims are a common legal claim made with the assistance of personal injury practices following a motor vehicle collision. Whiplash is a common physical injury caused by a rapid acceleration or deceleration resulting a rapid movement of the head or neck; whiplash is caused by damage to the sift tissues of the shoulders and neck resulting in symptoms including stiffness and pain from the neck down to the lower back. The symptoms of whiplash may not always be evident at the time of the accident of collision and may develop or a number of days following the accident. In an attempt to increase passenger safety technological advances in the auto industry include the development of new forms of seat belt technology. A motorized seat belt buckle that is a new addition to the market uses sensors designed to warn drivers of accident risks or possible collisions to automatically tighten seat belts around the vehicle. Equipped with a motor the belt automatically tightens when sensors around the car detect an increased risk of accident or collision. 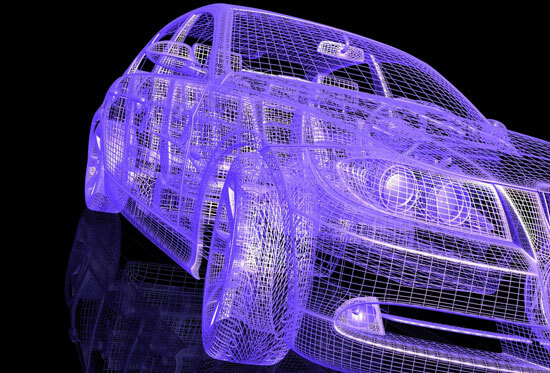 Sensors spread around modern auto's are another advance that has changed the way we drive to avoid problems involving collisions and accidents. Automatic detection of surrounding vehicles can activate technologies such as automatic braking that uses information on the road conditions and other vehicles on the road to slow a car that is in a dangerous driving position. The types and number of sensors used on vehicles are evolving with the available technologies of the 21st century; some major car manufacturers are working on improvemetns to their safety systems that include the use of GPS and laser technologies that will reduce dangerous driving. The number of accidents resulting in injuries to pedestrians, cyclists and car passengers should be reduced with new tehcnologies. Car accidents have been a major problem for the healthcare industry since the vehicle was invented. Accidents and collisions can result in medical issues requiring expensive and time consuming medical treatments and physiotherapy to reduce the pain and return the accident victim to full mobility and their everyday lives. Lyle Osborne is a professional writer and is having knowledge on accidental claims. Here he gave some tips for Whiplash Claim.